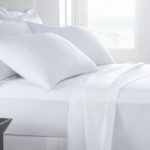 Price Lists Archives | Wholesale Linens Supply, Inc.
Our professional staff is always ready to help you select the perfect decorative and protective products to fit your specific needs and budget. Contact our representatives at (314) 533-1000 for more information on our complete line of bedding accessories and top of bed products. Current price lists for our most popular bed bases and bed frames. Our professional staff is always ready to help you select sheets to fit your specific needs. 10 piece minimum If you don’t see what you need here, call us at (314) 533-1000. Our professional staff is always ready to help you select the pillows to fit your specific needs and budget. Contact our representatives at (314) 533-1000 for more information on our complete line of bed pillows.